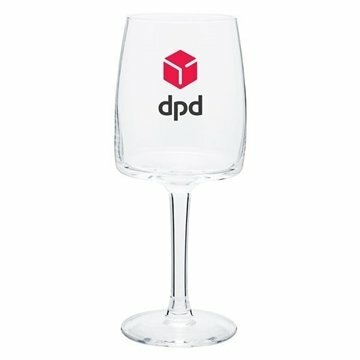 11.75 oz clear wine glass. I'm glad that your graphics department can work with the artwork as it was submitted. The feedback from employees continues to be excellent! And in reality, their opinion is the only one that matters. AnyPromo offer fabulous service and great promotional items!! Keep up the good work! We actually loved these. The imprint was very good and the high quality of the item was great. We use this every year in our company and all our clients seem to be happy Our sales rep has always been very helpful and responsive to our requests. Lots of our attendees loved them. And ask how to order them.